Dhaka, 2 May, Abnews: Facebook’s chief has said that 2018 has been an “intense year” for his firm. 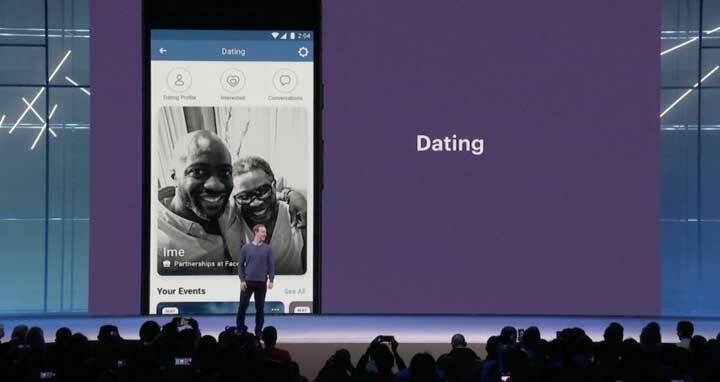 But Mark Zuckerberg also took the opportunity to unveil a dating service among other new products at his firm’s annual F8 developers conference in San Jose, California. He told his audience that the match-making feature would take privacy issues in mind and would launch “soon”. The company can ill afford another data scandal as it continues to be embroiled in the Cambridge Analytica affair. “There are 200 million people on Facebook who list themselves as single,” said Mr Zuckerberg. Shares in the dating business Match Group fell after the announcement and closed more than 22% below their opening price. The firm owns Tinder, a dating app that sources its profile information from Facebook. Facebook has faced fierce criticism ever since it emerged that it had failed to check whether political consultancy Cambridge Analytica had deleted data harvested about millions of its users. Mr Zuckerberg said that this was a “major breach of trust” that must never happen again. As part of efforts to restore confidence, he said the firm was building a new Clear History tool to provide members with more control over how their information is used. However, in a related blog, Facebook has acknowledged that the tool will take several months to develop, and that it would still need to retain related information in “rare cases” for security reasons. Mr Zuckerberg also addressed his company’s efforts to tackle fake news and detect operations designed to disrupt elections. But while he opted not to unveil a smart speaker – which the BBC understands had once been destined to launch at F8 – he did introduce other novelties. The headline feature is a new service to help singletons on the platform meet potential dates. He said the opt-in feature would focus on “real long-term relationships, not just hook-ups”, and would exclude existing friends from potential matches. “We have designed this with privacy and safety in mind from the beginning,” he added. Mr Zuckerberg also announced that video chat and new augmented reality filters were coming to its photo-sharing Instagram app. In addition, he said that group video calling would soon launch on its WhatsApp messaging service. Big businesses will also benefit from new WhatsApp tools to help them communicate with their customers, he declared. The chief executive also paid tribute to WhatsApp’s co-founder Jan Koum, who announced he was quitting the company yesterday. “One of the things I’m most proud of is we’ve built the largest, fully encrypted network in the world,” Mr Zuckerberg said. According to an earlier report by the Washington Post, Mr Koum had decided to leave because he was unhappy that the forthcoming business tools would involve a weakening of WhatsApp’s encryption. Mr Zuckerberg rounded off his list of unveils by revealing that his company’s Oculus virtual reality division had begun shipping its first standalone headset, meaning the device does not need to be plugged into a PC or smartphone to work. He said the $199 kit – which costs £199 in the UK – was the “easiest way to get into VR” and had the “highest quality lenses and optics that we have ever built”. The firm’s larger Oculus Rift headsets have proved less popular than many industry insiders had predicted, and appear to have been outsold by Sony’s less powerful PlayStation VR gear. Experts are split about the new device’s prospects. “The new device makes VR much more accessible to everyone,” commented Adrian Willings from the gadget review site Pocket-lint. But the head of games at the IHS consultancy was less positive. “I see the Oculus Go headset as quite awkwardly positioned versus existing technology in the market,” said Piers Harding-Rolls. In a separate development, some US-based users have reported that a new prompt has appeared beneath posts on their News Feed asking them if the messages contain hate speech. The service apparently extends to updates written by Mr Zuckerberg himself.